Based in London, Neil Fitzsimon and Bee Brogan aim to produce “pure pop for now people.” Neil and Bee were both members of the band, Pretty Blue Gun, who were signed to an indie label, licensed to Sony. They released two albums which were critically acclaimed. Some of the guest musicians included members of The Art of Noise, Dave Bronze (Eric Clapton’s bass player), Tobias Boshell (Moody Blues) and Pip Williams, who played guitar on the Walker Brothers’ track, ‘No Regrets’. The albums were produced by Pat Collier, who produced Katrina and the Waves’ international hit, ‘Walking on Sunshine’. The band went on national tours across the UK, until disbanding. 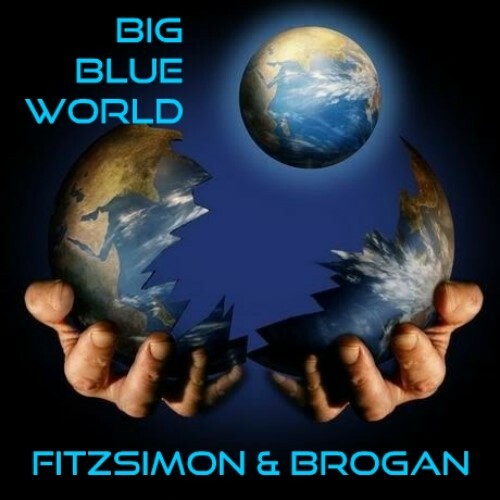 Neil Fitzsimon, the songwriter, and Bee Brogan, the vocalist, then went on to form a songwriting/production partnership that led to placement of their songs in Film and TV. They also wrote a musical, Jack Dagger, which was showcased at the Greenwich Theatre, London for the Musical Futures Award. It was also showcased at the Bridewell and the Royal College of Music in London. They have also just had a song placed in a USA Sci-Fi Feature film. They recently had a track reach number 3 in a French national download chart. All songs are written by Neil Fitzsimon. Vocals, keyboards, drums and engineering by Bee Brogan. All guitars played by Neil Fitzsimon. Fitzsimon and Brogan see themselves as a studio act much in the vein of Tin Tin Out and Talk Talk. Their influences range from The Beatles, Elvis Costello, Jimmy Webb, Jacques Brel and David Bowie. New album, “Big Blue World” is due for release in June, with another scheduled for fall 2018 release.